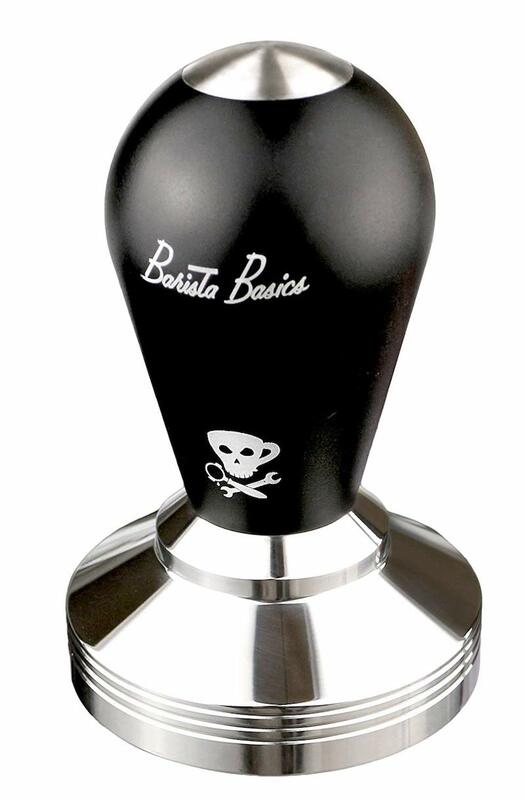 This is my 58mm espresso tamper of choice! It was amazing how quickly, like with the first double shot, I regained my skill for tamping the grounds. Years ago I was a mess, failing to level the tamped grounds correctly, or over tamping them so the h2o couldn't pass through. This tamper has a skull on it. Get the metal, not the wood, because wood doesn't deal in the dish washer very well. I keep an alternate 58/51 tamper for when this one needs cleaning. It came with an earlier machine. No longer easing myself into my day, I start it with a giant shock of espresso.